As much as you would like to be, you cannot always be around to take care of your elderly or special needs family members. The reality is that a majority of senior citizens live in their own homes and many live alone. Video monitoring is a great way to ensure that your loved ones are getting the proper care and attention they deserve. e-Monitoring Services Caregiver system is secure and offers a convenient and easily changable way to monitor your elderly or special needs family members and friends. e-Monitoring Services Caregiver System is an affordable, easy to use system that provides Total Peace of Mind. e-Monitoring Services can provide soluitons to support your in-home care giving services and help your loved one remain in a familiar, safe home environment longer. Don't wait till it's too late, call today (800) 648-1784. The truth is you cannot always be home to make sure everything is safe and secure. e-Monitoring Services e-HomeView gives you a window into your home, anytime, anywhere. Our wireless IP cameras offer the best video resolution available. We offer day and day/night cameras with motion detection, pre and post event recording, with email notification. Your video is safe on our secure server and can be reviewed via computer, smartphone or other web enabled device. Watch live video anywhere, anytime. e-Monitoring Services can provide soluitons to support your residential security needs. Keeping you, your home and valuables safe. e-HomeView is not only secure but safe and easy to use. Ensure that your children are getting the best care possible when you are not around or use e-Monitoring Services e-HomeView to watch your children when you are at work or away on business. Statistics show some 14 million children from kindergarten to 12th grade are at home by themselves. e-HomeView allows you keep an eye on your children when you can't be there. Access the secured server from anywhere in the world via the internet on your computer or smartphone. Never miss a minute of your childs lives with this incredible and secure monitoring service. Be notified when they arrive home from school with our latchkey alert, then check in using the live video. e-Monitoring Services provides soluitons that support your lifestyle. Keeping you informed, means everything is safe and secure at home. Ever wonder what your pets are up to when you are away? Well, wonder no more. Now you can watch your pets from anywhere in the world, anytime you want with your computer or smartphone. With e-Monitoring Services e-HomeView IP cameras you can check in on your little friends when you are away. 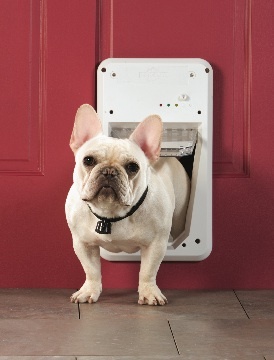 Monitor the pet door and know whether they are in or out. With this secure and affordable system, you can monitor your pets and see whether they are behaving or up to no good. You can also take a snapshot of your pet's antics and share them with your friends and family. 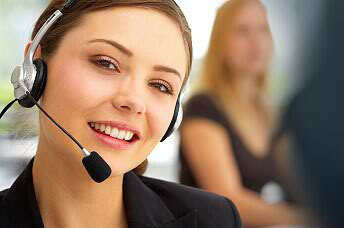 e-Monitoring Services provides soluitons to support your lifestyle. Keeping you informed, means everything is safe and secure at home. e-Monitoring Services video surveillance system will allow you to monitor your business from any computer or smartphone via the internet. Not only is the system secure but affordable and easy to use. Our system acts as your eyes and ears so you know exactly what is happening during and after business hours. You choose the features that work best for you - allow entry via a keypad, keyfob or Phone app or any combination. Send alert notifications based on sensor triggers, and schedule actions to be taken. Providing you with flexibility and control. e-Monitoring Services can provide soluitons to support your business security needs. Keeping your employees and business assets safe. Our total monitoring system including live video, environmental monitoring and automation is not only secure but safe and easy to use. © Copyright 2009-2011, Anderson Industries,Inc. All Rights Reserved.